Pekingese are small, affectionate dogs with deep roots in Chinese history. Pekingese dogs, a.k.a. Pekes, are small dogs with pear-shaped bodies. They have flat facial profiles, with heart-shaped ears that lie flat. The double coat has a long, coarse and straight top coat with a thick, soft undercoat. There is also long feathering on the toes, legs, ears and tail. All colors and markings are acceptable, according to AKC standards, but white and gray colors are common. The history of the Pekingese dog starts with a Chinese fable centuries old: A lion was in love with a marmoset and asked the patron saint of animals, Ah Chu, to reduce him in size so he could marry his love, but he wanted to keep his lion character. The lion was granted his wish, and the offspring sired was called the Lion Dog of China, a.k.a. Pekingese. The breed dates back to the Tang dynasty in 8th-century China. The dog was named after the city of Peking. We know this as Beijing today. Until the breed was exported by the British, only royals were allowed to own Pekes. Anyone found stealing a royal Peke was put to death. Upon winning the war against China in 1860, British soldiers returned to Europe with some of the dogs. They were recognized by the AKC in 1906. Pekes are good-natured, affectionate and loyal dogs once they form a bond with their human. They are also intelligent animals with a regal dignity. They should be trained to avoid developing and exhibiting negative behaviors, such as snapping or biting, and should not be fed table scraps as they can become overweight fairly easily (and refuse to eat their own food). Pekes can be difficult to house-train, but they do well in apartments or city areas without backyards or green space. They are playful and energetic. LOW: Pekes are small dogs with minimal exercise needs. 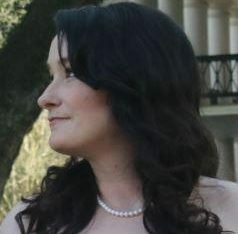 Walk yours at least once a day to expel energy and learn that you are the leader. 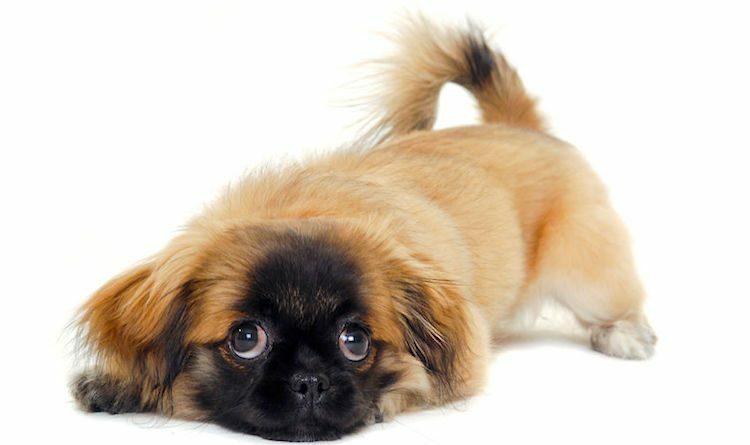 An untrained or overindulged Peke can display negative behaviors and may be difficult to train after these are learned. HIGH: Pekes shed regularly and females may blow their undercoat when in season. They have a long top coat that requires a minimal of 1 hour of brushing per week, with special attention paid to legs and hindquarters that can become matted easily. They should be shampooed regularly and their faces checked and cleaned daily. Nail clipping should be done regularly, and they need bathing once every 4–6 weeks. 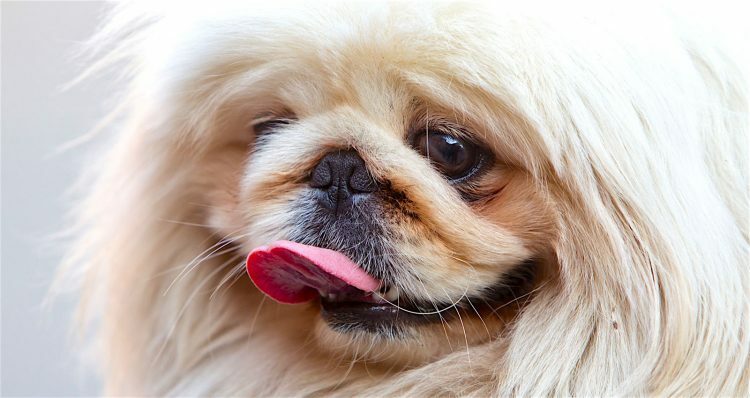 Contact local rescues and shelters to see if a Pekingese is available for adoption. If you visit a breeder, be sure to watch out for signs that the facility may be a puppy mill.